Korakrit Arunanondchai, With history in a room filled with people with funny names 4, 2017. video, 23:21 minutes . Courtesy of the artist and CLEARING Gallery New York. Bangkok-raised, New York-based artist Korakrit Arunanondchai engages a myriad of subjects such as history, authenticity, self-representation, and tourism through the lens of a cultural transplant. His work seeks to find a common ground in artistic experiences through a pastiche of styles and mediums. Arunanondchai earned his BFA from the Rhode Island School of Design in 2009 and his MFA from Columbia University in 2012 and attended the Skowhegan School of Painting and Sculpture in 2012. 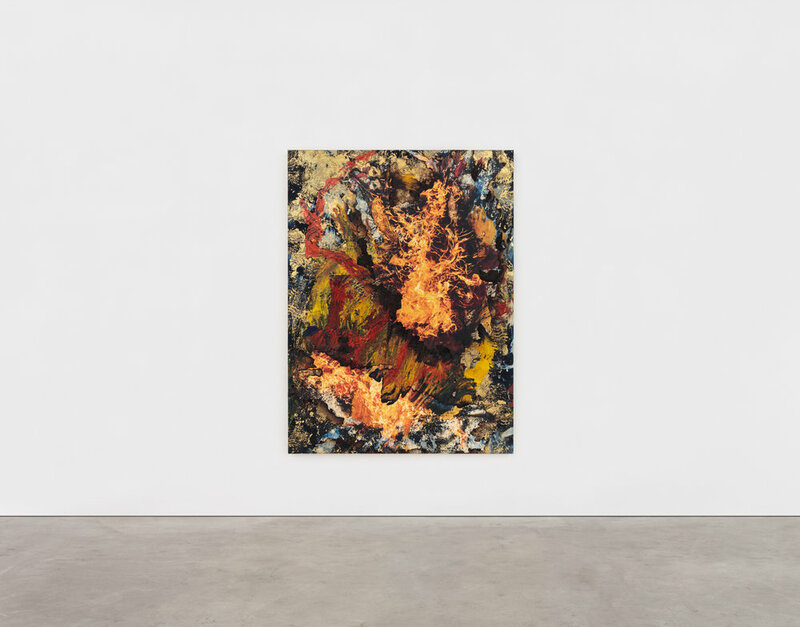 He has had several solo exhibitions at CLEARING gallery in New York and Brussels and has been featured in major group exhibitions at the Sculpture Center and the Fisher Landau Center as well as a solo exhibitions at S.M.A.K, Ghent, Palais de Tokyo, Paris, the Johnson Museum of Art, Cornell University, and at J1 in Marseille, France in 2018. For Becoming American Arunanondchai will present his recent video installation With history in a room filled with people with funny names 4 at Specialist, and paintings at studio e and Specialist.